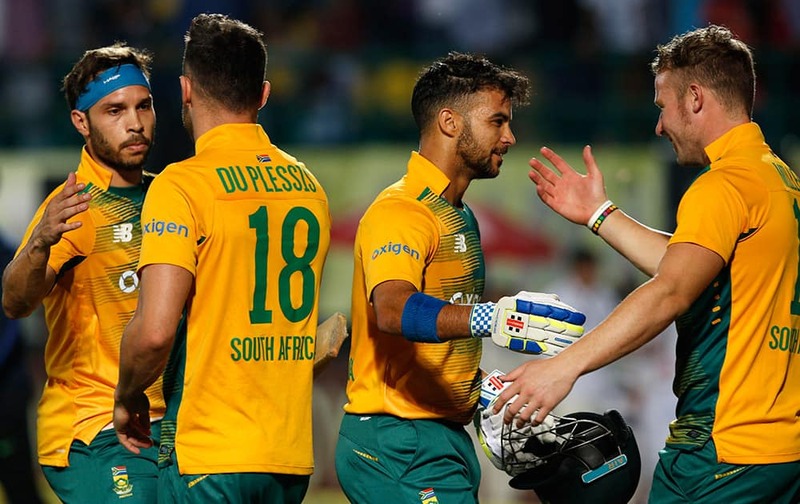 South Africa's Jean-Paul Duminy, second right, celebrates with teammate David Miller as he leaves the ground after winning the first Twenty20 match against India in Dharmsala. South Africa's Jean-Paul Duminy raises his hand as he completes the winning run during the first Twenty20 match against India in Dharmsala. 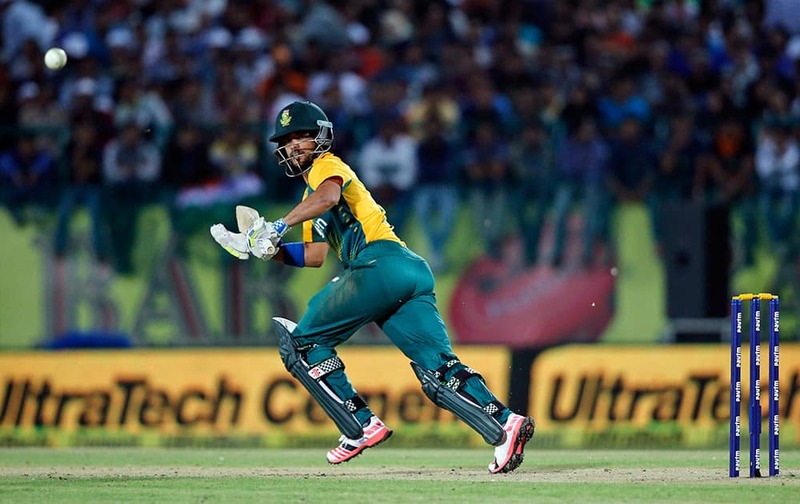 South Africa's Farhaan Behardien takes a run during the first Twenty20 cricket match against India in Dharmsala. 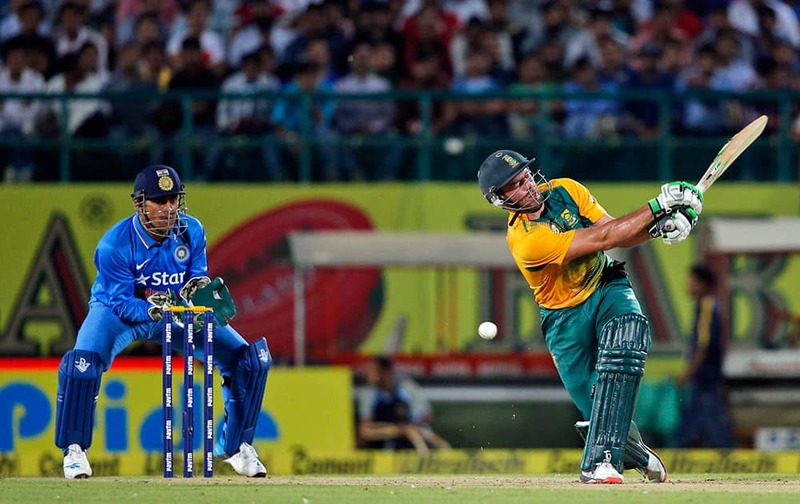 South Africa's AB de Villiers misses the ball to be clean bowled by India's Ravichandran Ashwin during their first Twenty20 cricket match in Dharmsala. 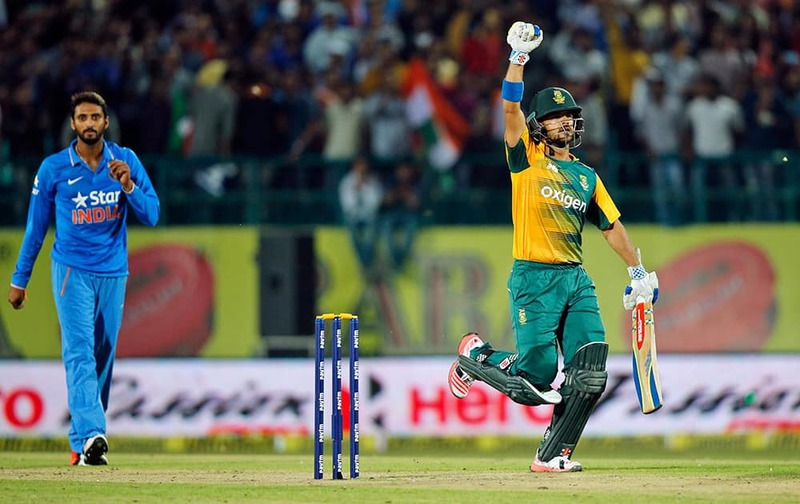 South Africa's Jean-Paul Duminy runs between the wickets during the first Twenty20 match against India in Dharmsala. 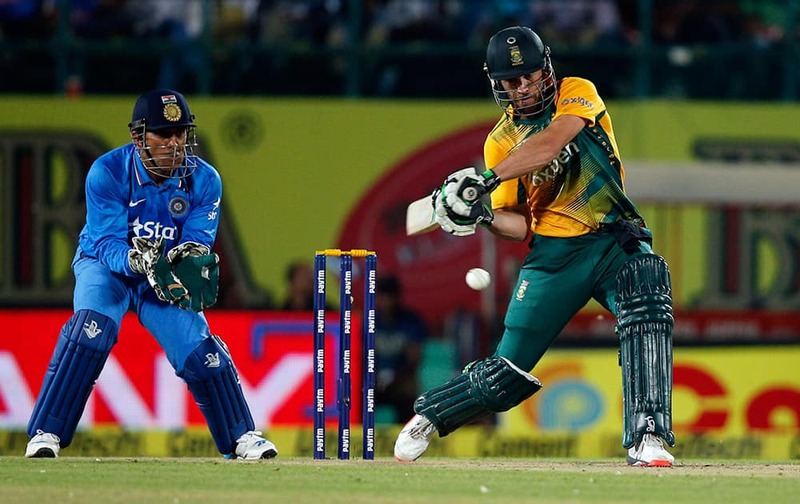 Mahendra Singh Dhoni, center, celebrates the dismissal of South Africa's AB de Villiers during their first Twenty20 match in Dharmsala. 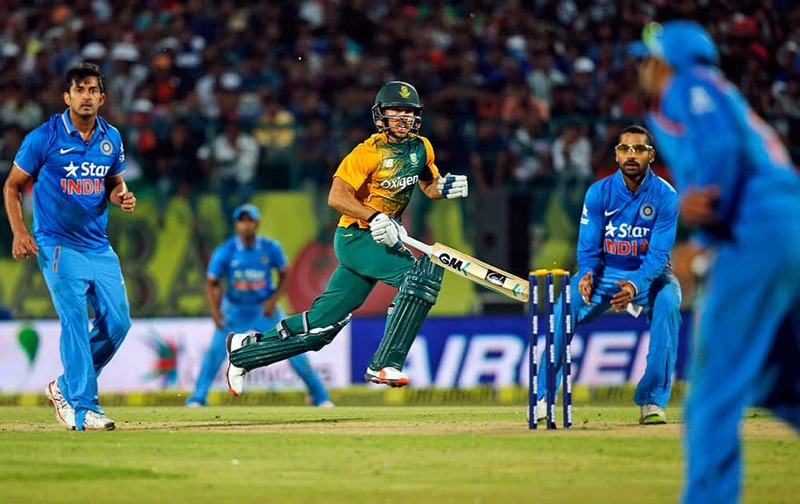 South Africa's AB de Villiers bats during the first Twenty20 cricket match against India in Dharmsala. Virat Kohli, second right, and Rohit Sharma run between the wickets during the first Twenty20 cricket match against South Africa in Dharmsala. 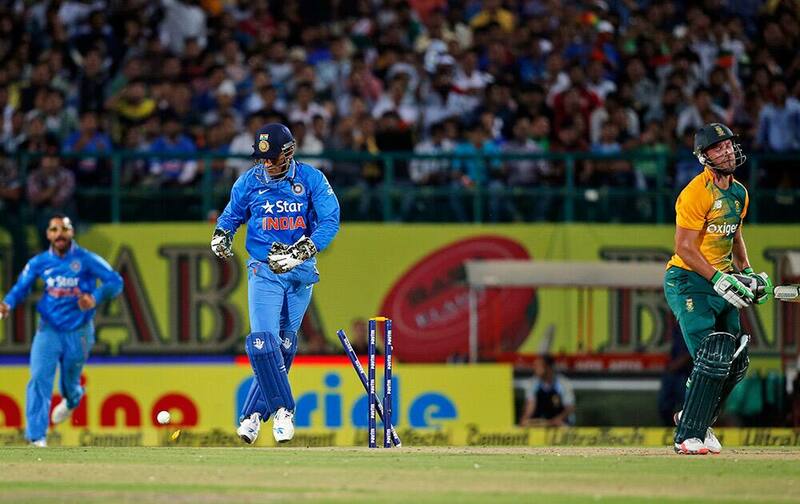 Rohit Sharma hits a six during the first Twenty20 cricket match against South Africa in Dharmsala. South African cricketers celebrate the dismissal of India's Shikhar Dhawan during the first Twenty20 cricket match between the two teams in Dharmsala. 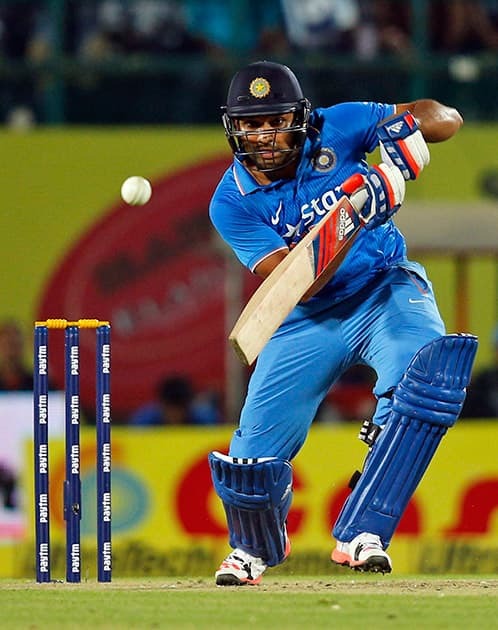 Rohit Sharma bats during the first Twenty20 cricket match against South Africa in Dharmsala.